Another one of my #MovieCars series. I’ve been meaning to do this one for a while, but it being black did put me off. Why? Because when drawing black cars, they’re seldom actually black, but more of greys and whites from the reflections of their almost mirror like surfaces. So, when I draw a black car I have this inability to draw a simple version. I always end up drawing a near-life style drawing…. and that takes so much time. 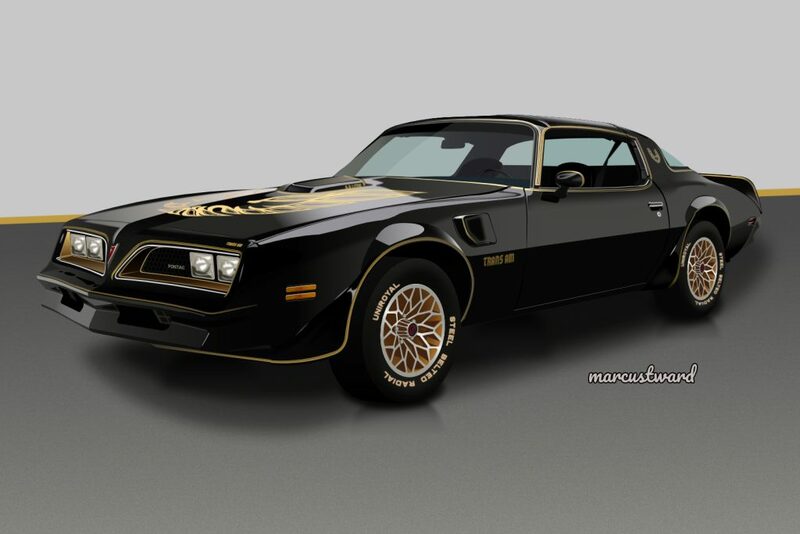 This Pontiac Firebird Trans-Am, made famous from the Smokey and the Bandit movie starring Burt Reynolds was no exception. It took about 25 hours of work to complete this one, but I am happy with the results.